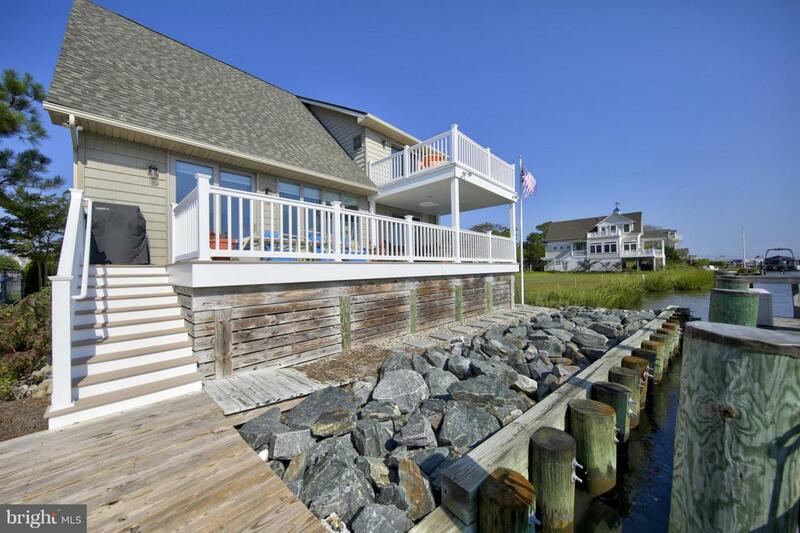 BOATERS' PARADISE with a PANORAMIC WATER VIEW! 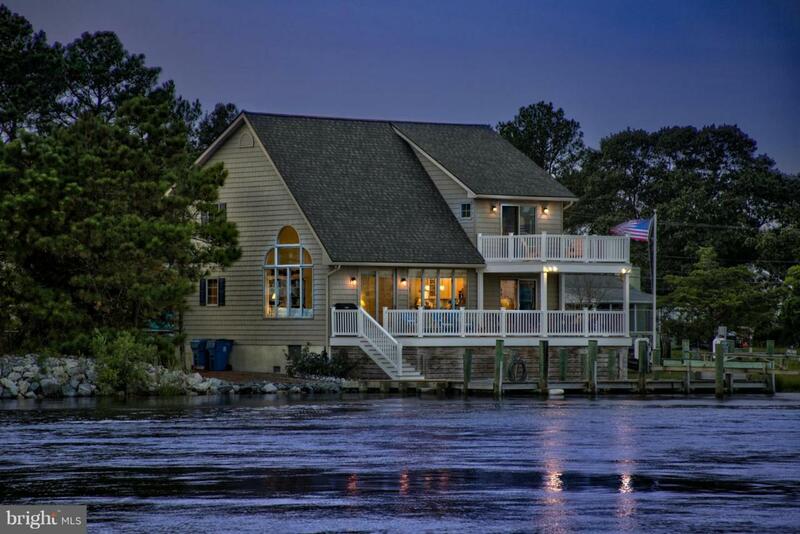 This home is located on a wide and deep - 30 feet deep - body of water suitable for ocean going boats and only 15 minutes to the inlet ! A long pier and boat lift anchored by rip rap and a retaining wall which have just recently been replaced (a $50,000 + improvement) ensure complete stability - easy to keep a large boat and jet skis here. This 4 Bedroom home was upgraded in 2015 with new roof, new siding, new composite decks, new bulkheading, a complete new kitchen ($45,000), new hardwood floors first floor, new HVAC and new paint. Complete list of upgrades and remodeling is available. When you walk into the great room, the incredible water can be viewed through a wall of windows - all the living areas have gorgeous views. Shiplap white ceilings grace the cathedral ceiling in the great room as well as natural oak floors which extends to the dining and kitchen. The chef's kitchen with SS appliances, quartz countertops, glass tile backsplash was redesigned to offer a great work space. There is a bedroom with attached bath on the 1st floor as well as a laundry room and powder room. The 2nd floor hallway is open to the living spaces below and 3 bedrooms are on this floor. 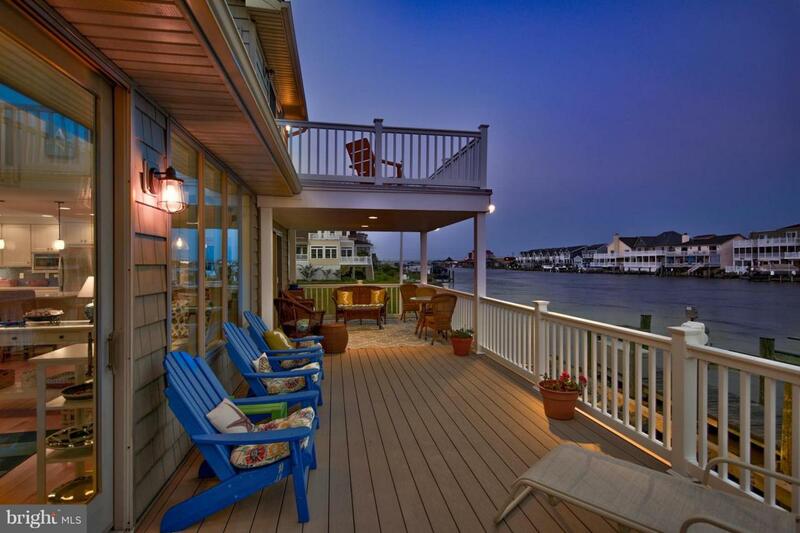 One of the bedrooms opens to a 2nd floor deck with magnificent water views. A covered deck and huge open deck off the great room and dining area were completely replaced with new composite decking and pilings ($38,000) and the views are non-stop. 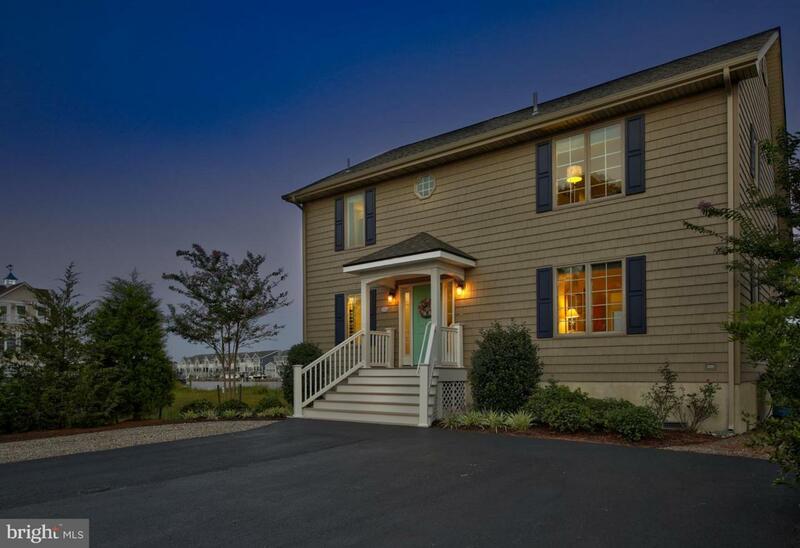 Located on a dead-end street with water on both sides of the street, this home has drop dead gorgeous views of a wide body of water and the Assawoman Bay. Prepare to be WOWED!